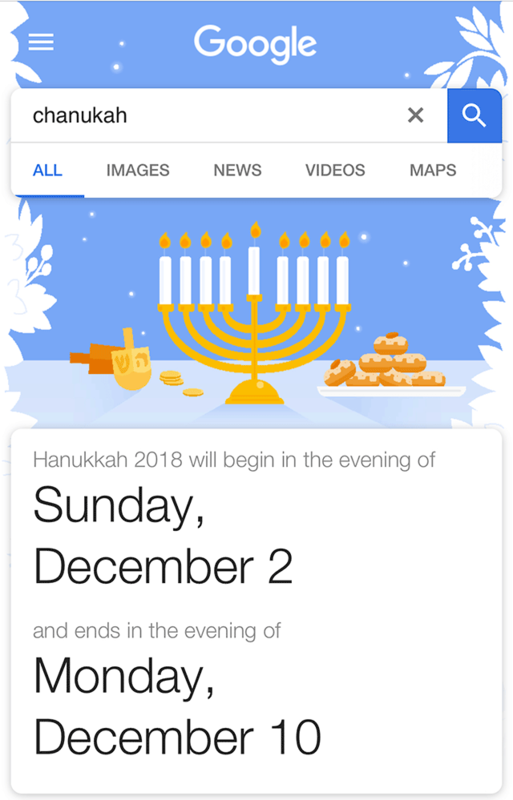 Google has posted their Hanukkah or Chanukah decorations for the holiday season. Why they also posted the Christmas and Kwanzaa decorations as well, but since Chanukah starts in less than 24 hours - I am sharing these decorations now. Just go to Google and search for [chanukah] or [hanukkah] or [dreidel] or something similar. Here is the 2017, 2016, 2015, 2014, 2013, 2012, 2011, 2010 and so on. Happy Chanukah to all my Jewish readers!